cap is up to 30 cm broad, convex with a depressed center, brown with raised scales. 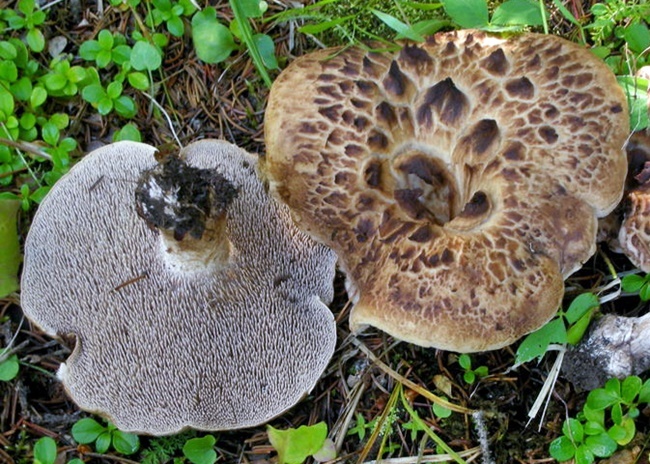 underside of cap has brown spines that descend onto the stem. stem is smooth and light brown, thickening towards the base. grows singly or as several in areas with conifers. taste is mildly bitter with no odor; cook before eating.